I ran across this on via Facebook today and it really took me back. 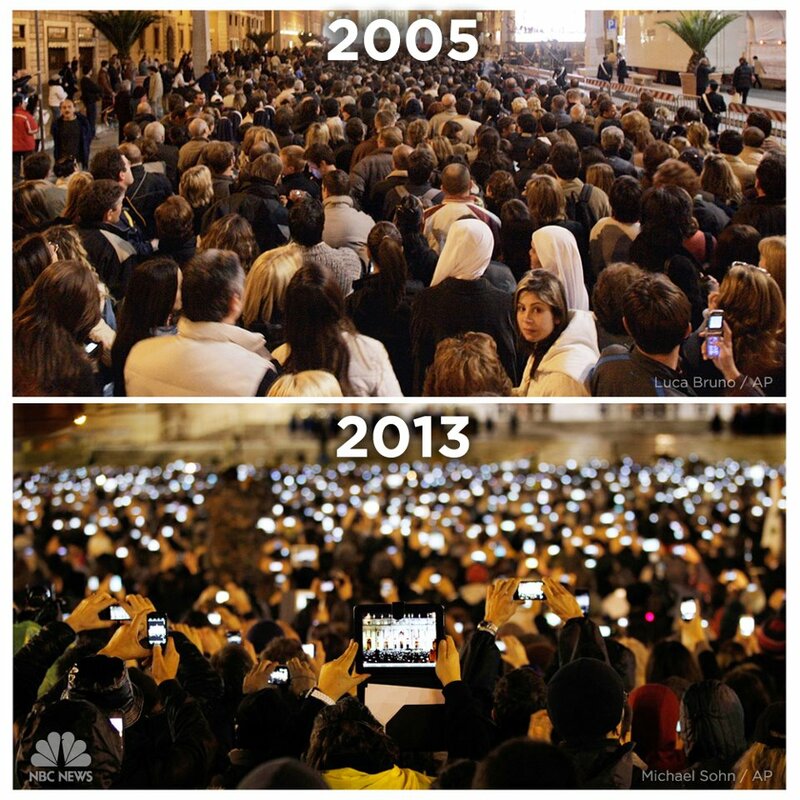 The image shows what St. Peter's Square looked like in 2005 during the last papal elections and what they looked like yesterday with Pope Francis's announcement. It's hard to believe how much live events have changed in just a few short years. The picture perfectly illustrates how human behavior and "interaction" has dramatically changed. There's definitely a new normal. Here's a question: is this healthy? Over time, we may not even think twice about this image. It does raise the question if we're so consumed with archiving or sharing our memories that if we miss out on actually experiencing what's around us? I don't think there's a right or wrong approach. Just something to think about.